Redefining the expectations of what is possible, the "alternative metal" wedding bands and engagement rings of Lashbrook are exceptional pieces of chic, innovative, and fashion-forward excellence. Founded in 2000, the men's and women's bridal jewelry of Lashbrook have quickly become an extremely popular choice among contemporary couples searching for a wedding ring of one-of-a-kind quality and construction. Available now at esteemed authorized retailers such as Trice Jewelers, Lashbrook wedding bands and engagement rings can be found made of distinctive metals including titanium, hardwood, even ancient meteorite, making them unique pieces perfect for celebrating your singular love. Located in Centennial, Colorado, the friendly and professional staff of Trice Jewelers is thrilled to offer an exclusive selection of award-winning Lashbrook designer jewelry to their beloved Denver-area customers. Available now is a 100% genuine inventory of Lashbrook engagement rings, as well as women's wedding bands, that have been handpicked for quality and that are covered by the comprehensive lifetime quality warranty of Trice Jewelers. Firstly, on display today are the engagement rings of Lashbrook's Camo collection, made of cobalt, titanium, white gold, and are perfect for any rustic-inspired bride. In addition to the rings of the Camo collection, Trice Jewelers also proudly extends a massive selection of Lashbrook "alternative metal" wedding bands for ladies and men alike. Available with or without diamonds -as well as in styles ranging from simple to bold - are the wedding bands of the Lashbrook Titanium, Zirconium, Carbon Fiber, Cobalt Chrome, Tungsten Ceramic, and Damascus Steel collections. All more charming than the next, the bands in these collections are stunning and built-to-last. 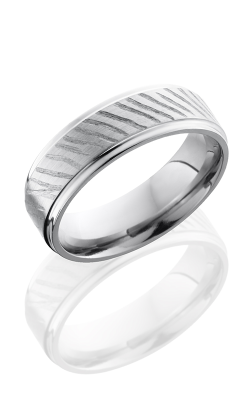 Additionally, for an even more distinctive wedding band look, Trice Jewelers also offers the awe-inspiring pieces that comprise the Mokume Gane, Meteorite lines, along with those of the Elysium collection which are crafted entirely of solid black diamond. Why Shop with Trice Jewelers? With over 60 years of fine jewelry experience, Trice Jewelers is the place to find the very best in totally authentic, designer-made bridal jewelry, fashion jewelry, and timepiece styles. More than just an authorized Lashbrook retailer, today in the Centennial showroom of Trice Jewelers, customers are able to explore a wide selection spectacular pieces from legendary designers including Forevermark, Gabriel New York, CrownRing, and many others. Also, to ensure more than a lifetime of enjoyment and wear, Trice Jewelers happily extends on-site jewelry and watch repair, custom jewelry design, and expertly-done appraisal services.